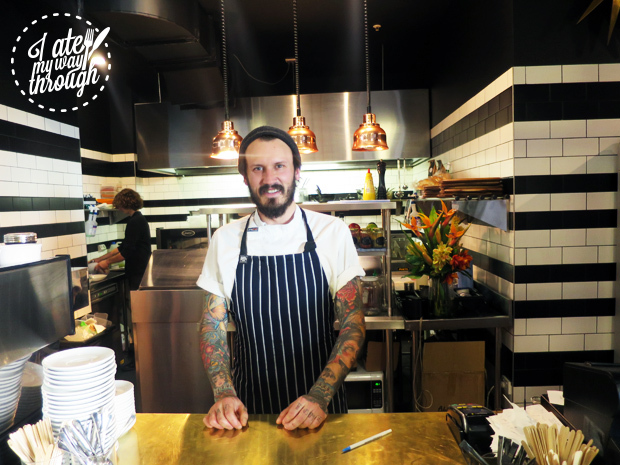 Tucked away just off Crown Street, The Hungry Wolf café has just opened it’s doors to the people of Wollongong. 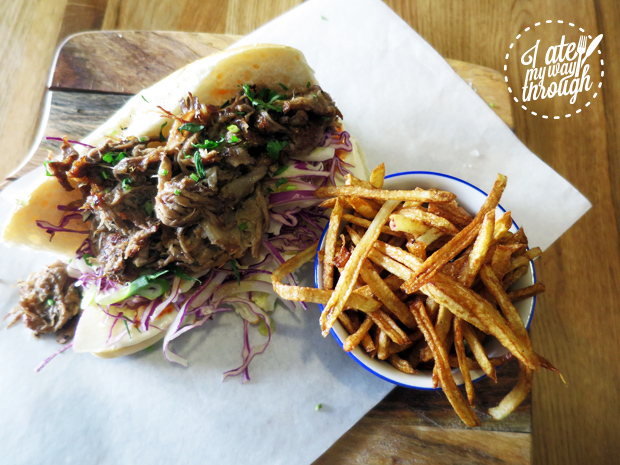 Little brother of Wollongong’s best whiskey bar the Howlin’ Wolf, the Hungry Wolf is offering affordable American-Asian style dishes alongside their cups of coffee. Situated opposite each other, the bar and café are connected by an outdoor seating area that encourages their hungry visitors to move freely between the two. 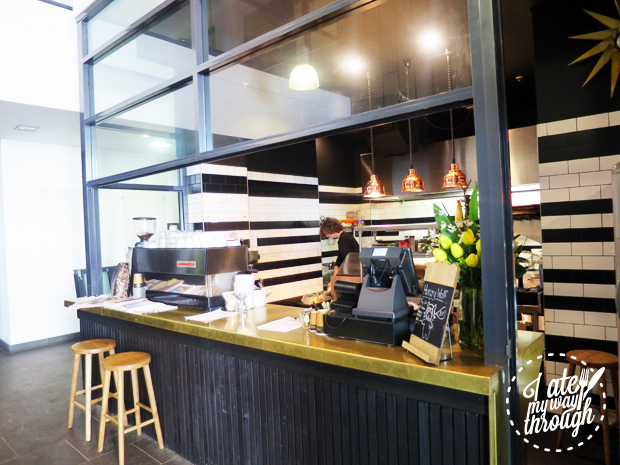 Unlike it’s cooler older brother, the café itself is quite understated; a glossy, tiled kitchen, copper light fittings and wooden seating arrangements are the embodiments of the simple and modern cafes we know and love. However what this venue lacks in décor, it makes up in good food. With a pick-and-mix style lunch menu, customers are able to create a meal that suits them, starting with a “bowl” or “plate” and then adding one of their “thangs”. We started with a bowl of Zucchini Ribbons ($10) with herbs, pumpkin seeds and lemon vinaigrette and then added some Whisky Pork Belly ($5) in all it’s juicy, crackling glory. The result? 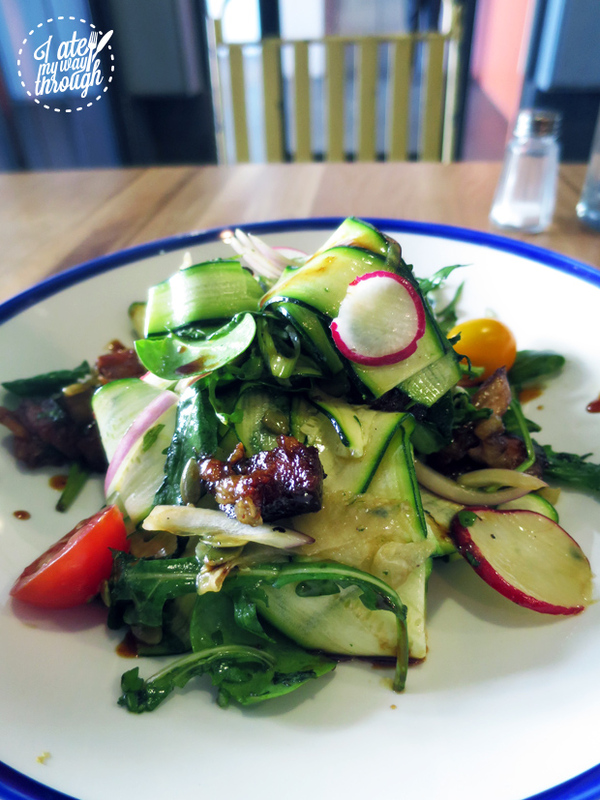 A delicious crunchy and tangy salad for only $15. Alternatively you can choose one of their Po’ Boys for only $10. 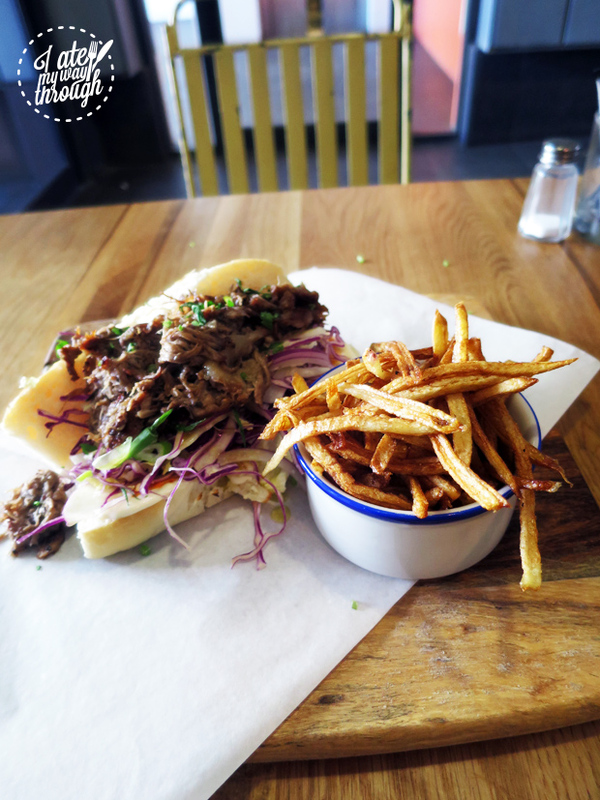 We had the Lamb Po’ Boy with red cabbage, cauliflower slaw and aioli and served in a Traditional American sub roll. 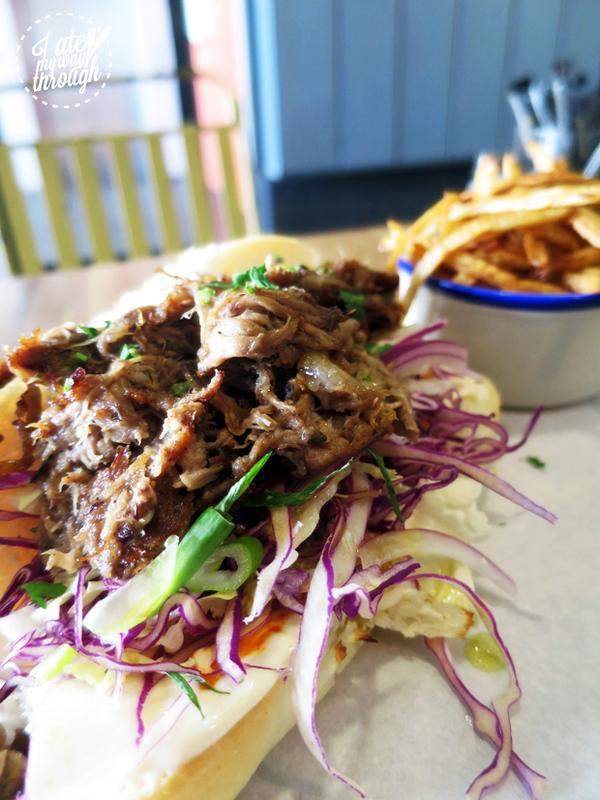 The combination of the crunchy slaw and juicy pulled lamb gives a great mix of textures to a sandwich that is already bursting with flavour. 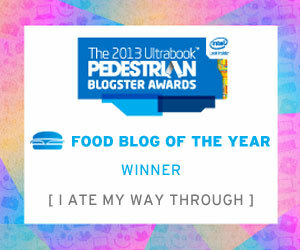 The cherry on top of this dish was the side of chips which gave a whole other meaning to the word shoestring.